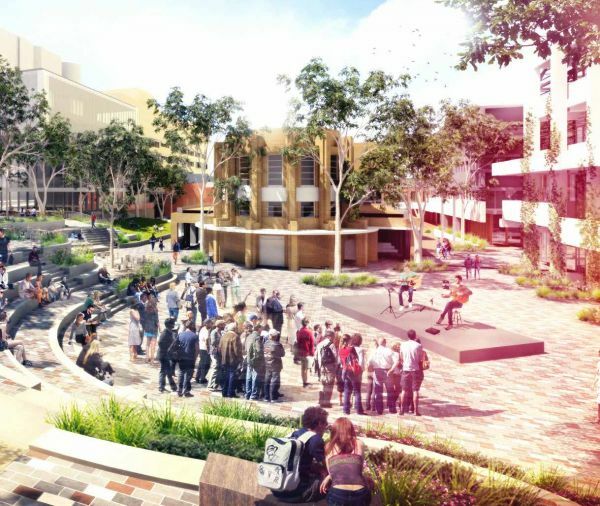 Works on a world-class student precinct on the Parkville campus have commenced. The Project includes nine buildings and will deliver 37,050m2 of new or refurbished internal and external building and landscape space. A signature project of the University’s Reconciliation Action Plan 3, the Project will deliver on a number of key University strategies including the Sustainability Plan 2016 – 2020 and Food and Retail Strategy. Uniquely, the Project has also benefited from the contributions of over 12000 students who have influenced the direction of the Precinct through our co-creation approach. The Precinct will be completed in stages with main works construction due to begin in mid-2019. 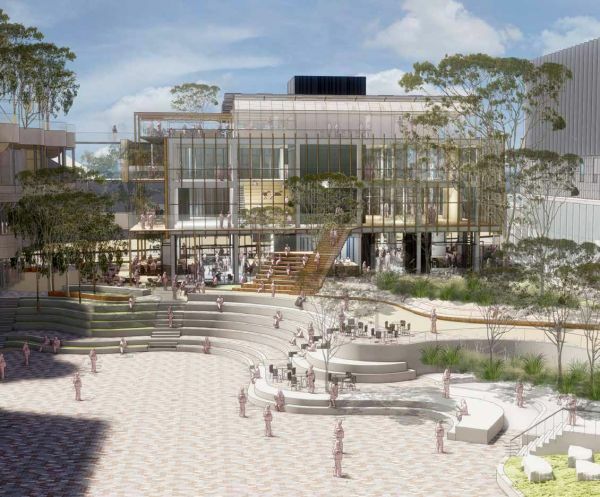 The Project will dive-deep into the implementation phase in 2019, as the design of the Precinct is confirmed, and the building contractor is appointed. 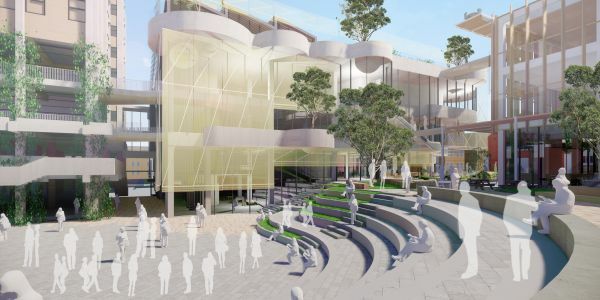 Creative partnerships will continue to provide students and staff with opportunities to contribute to the Project and new food and study pods will ‘pop-up’ around the Precinct site. The Project, in partnership with its arts partner Next Wave, were thrilled to announce the winners of the New School Art Prize in October 2018. The Project’s co-creation and Teaching and Learning program has continued alongside the design process this year, with over 6,207 students, staff and community members actively influencing the Precinct design and development. A jam-packed day of workshops, music, tours, co-creation opportunities and presentations, centred around the Project, took place on 3 October 2018. Led by Lyons Architecture, the Precinct design team completed the schematic design stage of the Project in October. Furthering the Project’s commitment to co-creation, research consultants Nature Research were engaged in September 2018 to examine what kind of study spaces students prefer and when they like to use them. 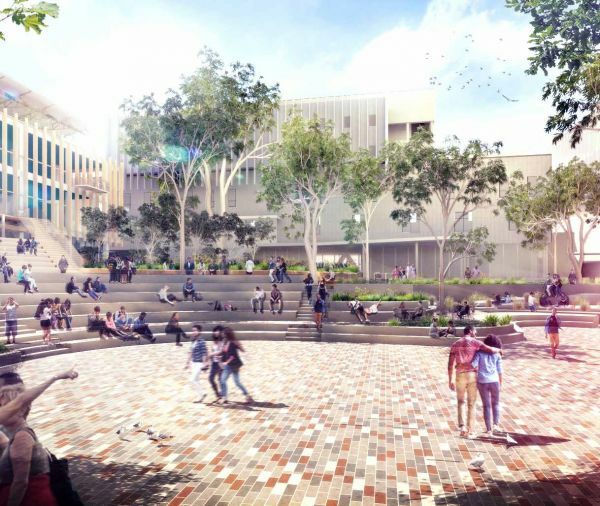 The New Student Precinct Project is proud to be contributing to the University’s elevated Reconciliation Action Plan (RAP 3) as a signature project. 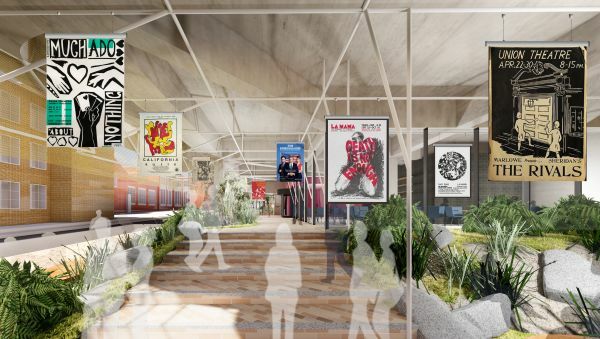 The Psychology behind Design: How can we shape the Student Precinct for healthy minds? With more people living in cities and suburbs than ever before, neuroscientists and psychologists have turned their focus to how our built environments can affect our mood and well-being. On Thursday 19 July 2018, the New Student Precinct Project invited current students to participate in a two-hour sustainability-focused workshop with sustainability consultants, Aurecon. As the design of the Precinct progresses, you might notice a new ‘look and feel’ rolled out across the Project's campus and digital platforms. The Precinct design team, led by principal architects, Lyons Architecture, have now completed the Precinct concept design. What's to come in Semester Two? As we head into the second half of 2018, the Precinct Project Team will be seeking feedback and engagement from students and staff through a variety of platforms. New Student Precinct student ambassador, Sophie Lloyd, catches up with the Project's Sponsor and Head of University Services, Paul Duldig, to discuss the University's commitment to improving the student experience through the New Student Precinct. Using the New Student Precinct as inspiration, students undertaking the 'Landscape MATERIALITIES' elective have designed and constructed prototypes of landscape furniture designed to support external social spaces. You might have noticed some comfy new cushions recently installed in the Growroom, but these cushions are for more than just comfort. Despite a wintery Melbourne afternoon, crowds gathered to see the launch of the Outdoor Gallery's National Reconciliation Week 2018 exhibition. Bolstered by hot chocolate provided by Fair Food Challenge, supporters of our Indigenous student artists gathered to see the unveiling of the exhibition and hear the stories behind the works. 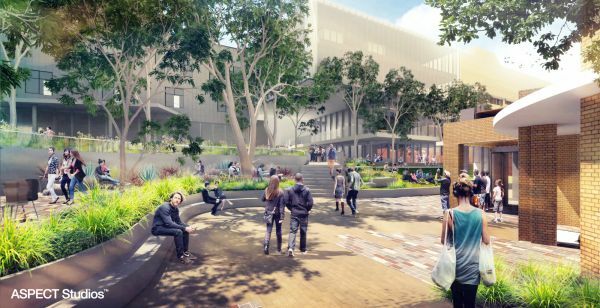 The University of Melbourne has appointed a team of architects and designers, led by Lyons Architecture, to design the $229 million New Student Precinct on the Parkville Campus. Early and enabling works will commence at the New Student Precinct site in mid-January. In 2017, the New Student Precinct Project continued a dynamic program of integrated teaching and learning opportunities. Students were given the chance to participate in placements with the Project Team or internships with Project consultants, and the opportunity to use the Precinct as a real-world case study for their coursework. In addition, the Project has supported two research projects. The New Student Precinct will be a signature project for the University's soon-to-be launched Reconciliation Action Plan 3 (RAP 3). The year has been punctuated with major milestones, significant commitments and students continuing to contribute to all aspects of the Project. Enjoy this highlights video produced in collaboration with our student ambassadors. 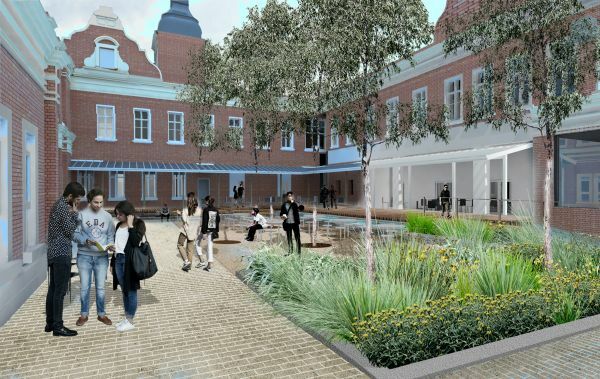 Following the approval of the New Student Precinct Business Case by the University, the Project is now entering the Implement phase. As part of an activation program to enliven the New Student Precinct the Growroom and UniCycle were launched in late August. Two student-led initiatives, the Growroom and Fair Food UniCycle, will be officially launched in the New Student Precinct site on Wednesday 16 August. Through co-creation activities, students have told us they would like to see sustainability embedded into the design the New Student Precinct. The first exhibition to be presented by Science Gallery Melbourne is going to be blood-soaked, no bones about it. 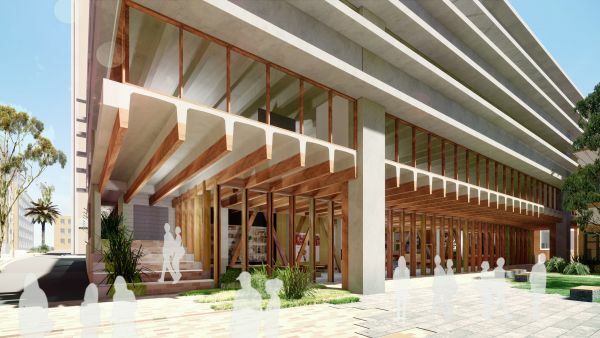 Actively collaborating with our students is an essential aspect of the Student Precinct Project, ensuring that the completed space is truly 'owned' by University of Melbourne students. Master of Marketing and Communications student, Candace Tang, shares her recount of the Outdoor Gallery Launch in May. The eagerly awaited launch of the Outdoor Gallery takes place this Monday and you're invited. Student Precinct Ambassador and Master of Marketing and Communications student, Candace Tang, sat down with University of Melbourne Student Union Indigenous Representative and Victorian College of the Arts and the Melbourne Conservatorium of Music Bachelor of Fine Arts and Visual Arts student, Marley Holloway-Clarke, to discuss the upcoming Under Bunjil Covers Retrospective in the Outdoor Gallery. 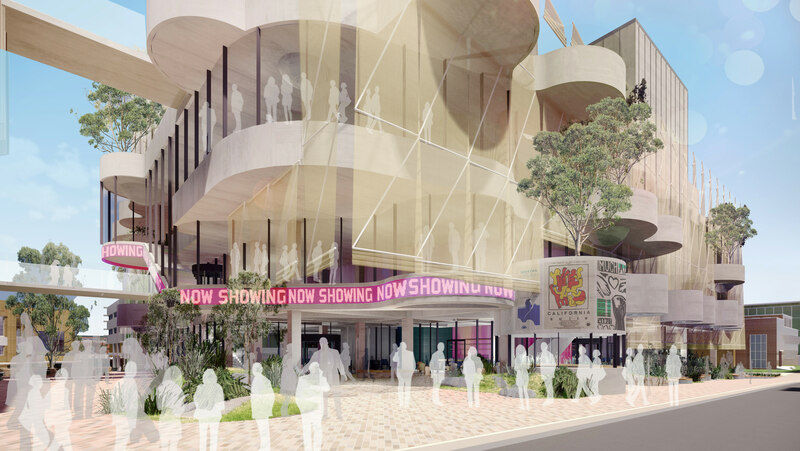 A 2-minute animation has been created to demonstrate the scope and vision for the New Student Precinct. 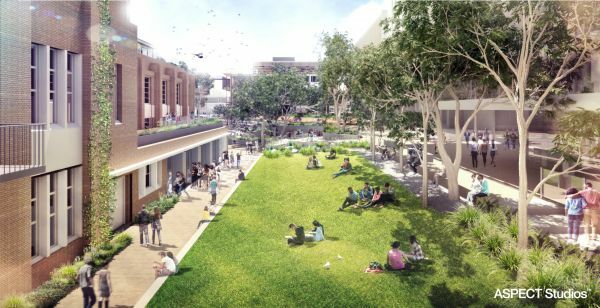 Co-creating the New Student Precinct has provided the Project Team with the opportunity to work alongside some outstanding University of Melbourne students from across Faculties and campuses. The Precinct was captured in glorious sunshine last week as a drone took flight over the Parkville campus. A series of design studio briefs have been developed by the project team, for inclusion in curriculum and summer intensives in several University of Melbourne faculties. 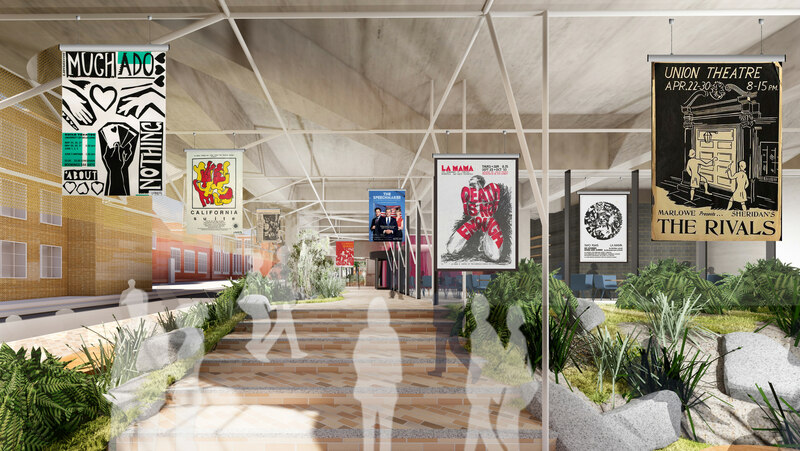 The Student Precinct Project greatly appreciates and understands the rich history of student unionism both in Union House and dating back to the 1880s when the Melbourne Union was first established. In the little time we've been apart, the Student Precinct Project Team has been busy preparing for a dynamic year ahead. 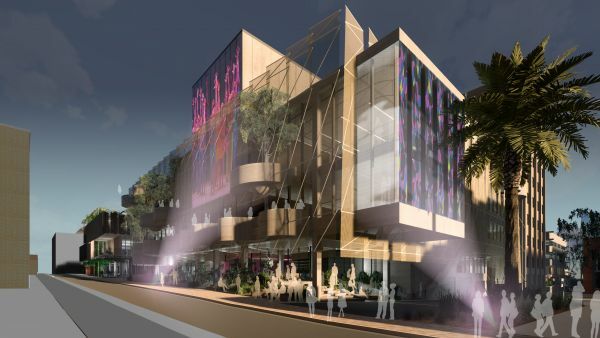 Welcome to the new digital home of the Student Precinct Project! The Fair Food UniCycle Turns One!